Designed to prevent external pressure or media entering between two faces. This seal has low friction should there be movement between the surfaces. Traditionally used to seal corrosive media or at challenging temperatures. Used instead of HS-FL7 when vibration is an issue. Material Permachem xxxx will be selected by AHPSeals to match your operating conditions. *Important Note: Maximum values above depend on extrusion gap, clearances, seal material, media, temperatures, pressures, surface speed, dynamic running surface finish and working environment. Seals cannot be operated at their upper ratings at the same time. For pressure above 3.000psi (210bar)or temperature above 200°F (95°C), please contact engineering for seal material and hardware specification. Size Table (Inch)The standard range sizes listed below are the preferred sizes for new design applications. 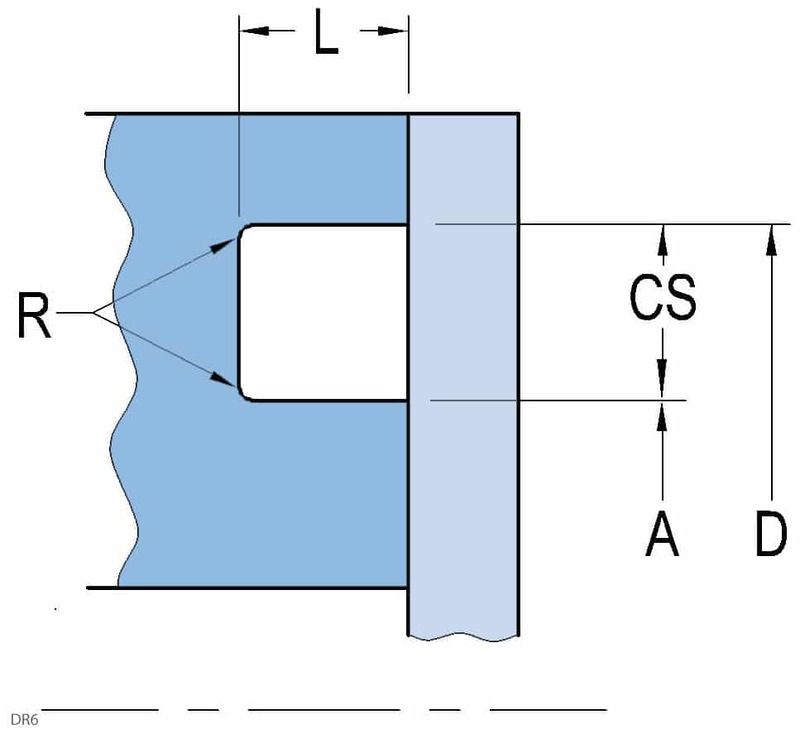 Seals are available for any size in 0.001inch increments, including functional range. Additionally, we offer any other seal size as required. *Standard cross-sections (CS) listed and non-standard sizes can be provided for any size up to 63 inches. Surface finish: Sealing faces (L) ground, Ra 6-12µin (0.15-0.30µm). Housing (A,D) Ra 32-63µin (0.8-1.6µm). See Technical Info for more specific information. Size Table (Metric)The standard range sizes listed below are the preferred sizes for new design applications. Seals are available for any size in 0.01mm increments, including functional range. Additionally, we offer any other seal size as required. 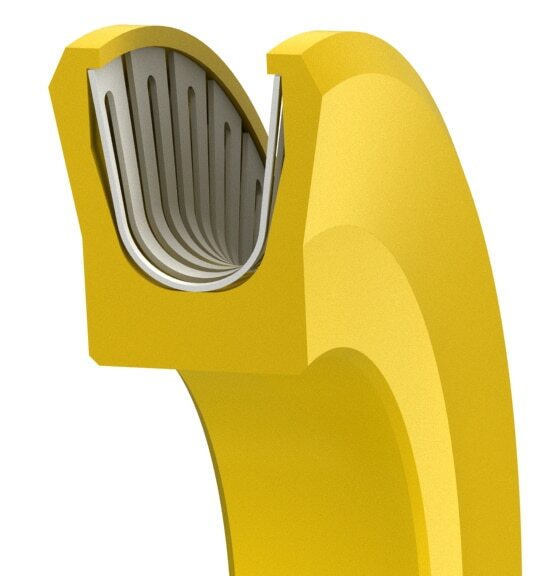 *Standard cross-sections (CS) listed and non-standard sizes can be provided for any size up to 1800mm. Surface finish: Sealing faces (L) ground, Ra 0.15-0.30µm. Housing (A,D) Ra 0.8-1.6µm. See Technical Info for more specific information.